Puppets 'n' People: The Philosophical Wanderings of a Wandering Puppeteer was a project meant to spread the joy of being alive to everyone who participates. The premise of the project was to perform a puppet show in a nontraditional setting, such as a back yard, living room, garage, etc. The first part of the show was a variety puppet show called the This and That Cabaret. Once the cabaret was over, the emcee of the production, Mr. E. will began to interact with the audience asking them to share stories of the greatest joys of their lives or the happiest moments that they have ever had. Participants may even share jokes if they would like. Once the US tour of the This and That Cabaret was completed, the greatest joys of those who participated were compiled into a Joy Book, which is similar to a joke book, but it shares joys as well as jokes! It will soon be available. 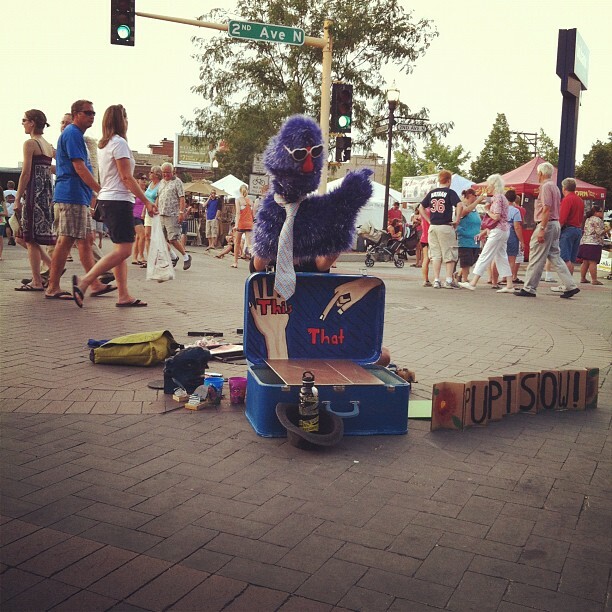 A blog with information on how to host a puppet show, publicity, and philosophical wanderings while travelling is available at http://puppetsnpeople.wordpress.com/.